FF-IES0206F is a plug-and-play unmanaged industrial Ethernet switch, which can provide economical solution for your Ethernet. Its dust-proof fully sealed structure(IP40 protection grade), over-current, over-voltage and EMC protected, redundant double power input as well as built-in intelligent alarm design can help system main tenancy personnel monitor the network operation, which can work reliably in harsh and dangerous environment. 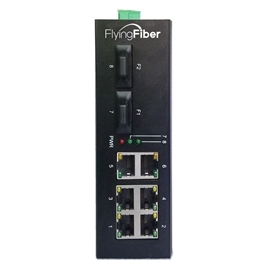 FF-IES0206F support 2 100Base-FX fiber port and 6 10/100Base-TX Ethernet port. It support CE, FCC, RoHS standard, rugged high-strength metal case, power input (10-58VDC). 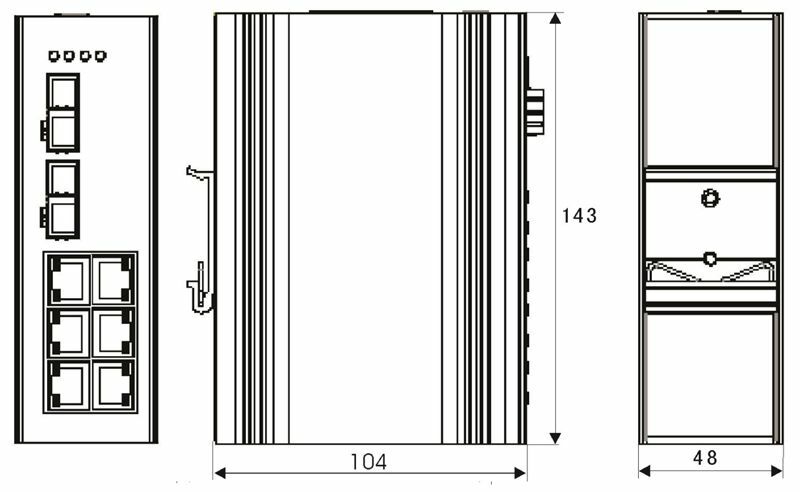 The switch support IEEE802.3, IEEE802.3u, IEEE802.3x with 10/100Base-TX, full/half-duplex, and MDI/MDI-X auto-adaptation, the -40-85℃ operating temperature can meet all kinds of industrial environment requirement, providing reliable and economic solution for your industrial Ethernet network. 1). Support 2 100Base-FX fiber port and 6 10/100Base-TX Ethernet port.